OwenRunning: Where Will This Go? I often find myself wondering what I will be doing in a week, a year, or 5 years? Where will I live, what will be my job, will I be married, kids, will I be a "good" ultra-marathoner? I do know one thing for sure..... aside from whatever I will be doing as a profession, in the mean time, I will be running. It is all about the experience. 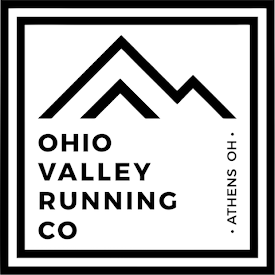 Sure, I have plenty of opportunities in southern Ohio with trails and races nearby, but that should not limit me. This trip to Colorado so far has already showed me a different perspective of what I could be doing in the future. Today, I made my first "mountain run" up Green Mountain. Jeff Valliere graciously allowed me to run with him and showed me the way up Green Mountain. The infamous Green Mountain is becoming popular with Tony Krupicka's attempt to run it 100 times in the first 100 days of the year (he is well on his way). The run was a different feeling, something I have never felt before in Ohio. It was pretty much 2.5 miles uphill, taking me about 40 minutes to reach the top. Jeff got up there in about 38 minutes. I can only imagine the leg strength that runs like this build, nothing compared to. Sunday, my first day in Boulder, I decided to run the famous Magnolia Road, made popular in the book Running with the Buffaloes. I ended up not running the correct route though. The run starts on the dirt road 5 miles from the beginning of the road, where I started from. Those first five miles were all uphill, several people told me that it is the steepest hill around. I had to walk a couple times, but I felt good about my 5 mile uphill run that took about 50 minutes. 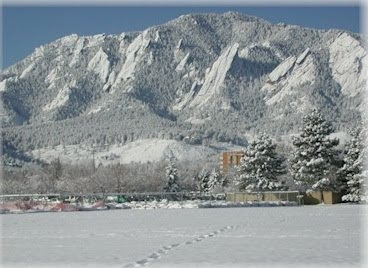 I have only had 3 runs in Boulder so far, but they have all been good, meeting someone knew on each of them. The running community seems to be great here and the overall city is very happy and cheerful. Last week I totalled 117 miles, this week looking to be about the same. I am very excited to run new trails here in Boulder and discovering a new side of life. So, where will this go?